Neil Cornrich & NC Sports, LLC: What do Cardinals think of Ginn now? 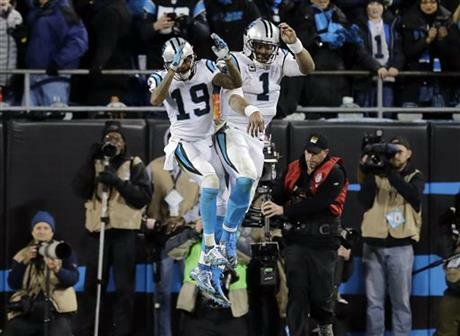 Charlotte, N.C. — Ted Ginn Jr. got the last laugh against the Arizona Cardinals. Discarded by Arizona just one year into a three-year contract, Ginn did just about everything against his former team on Sunday and helped power the Carolina Panthers to a 49-15 win in the NFC championship. Ginn caught two passes for 52 yards, set up his own 22-yard touchdown run with a 32-yard punt return and chased down Patrick Peterson after an interception to save a touchdown. Ginn admitted he left Carolina after the 2013 season to ''chase a check,'' but was seldom used in Arizona last season. He caught just 14 passes for 190 yards and no touchdowns and was released. The Panthers welcomed the speedster back with a two-year contract – and the move paid off. Ginn caught 44 passes for 739 yards and 10 touchdowns in the regular season. But he may have saved his best game for Sunday. With Carolina leading 3-0, Ginn fielded a punt and weaved through traffic for a 32-yard return to set the Panthers up in Arizona territory. Five plays later he took a pitch from Cam Newton, raced around left end on a reverse, changed fields and scored. Ginn later caught a 39-yard pass over Peterson. And when it looked as if the Cardinals might have a chance of making a comeback, Ginn chased down Peterson after an interception, saving a touchdown.